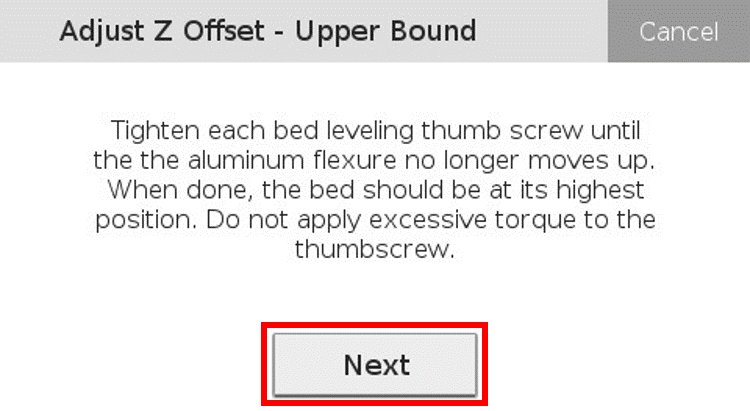 Occassionally, you may have trouble getting enough travel from your printer's leveling screws to properly level the bed. 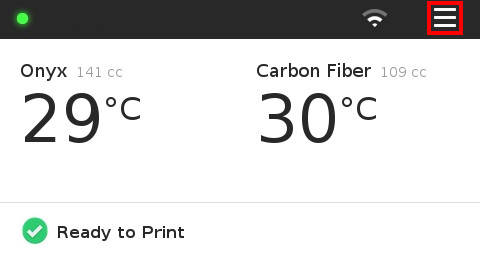 This can happen when switching between two print beds, after a system reset, or for some other reason. 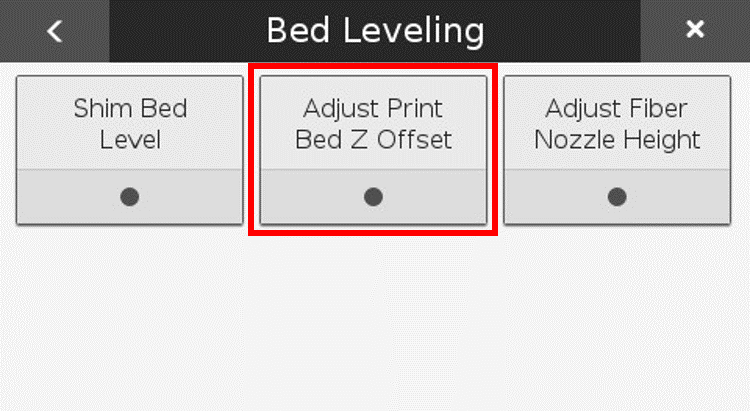 If that is the case, run through the following steps to adjust the Z-offset on your printer to achieve better leveling. Before running the "Adjust Z-Offset" utility, please be sure to raise the fiber nozzle up such that it is not sitting lower than your plastic nozzle. 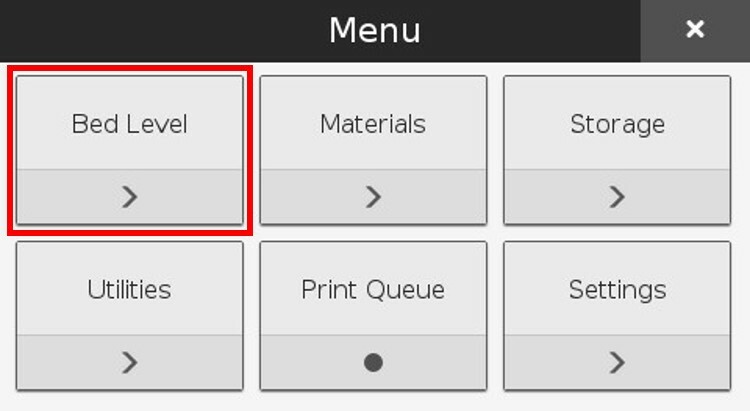 Select the "Adjust Print Bed Z Offset" tile from the available options. 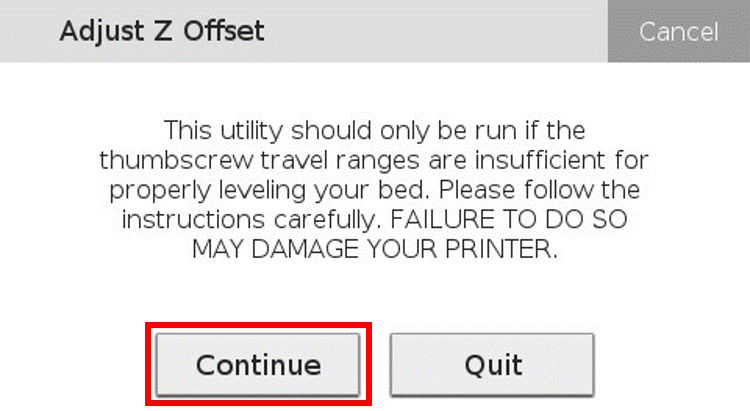 Read the safety warning on the screen and press "Continue" when prompted. 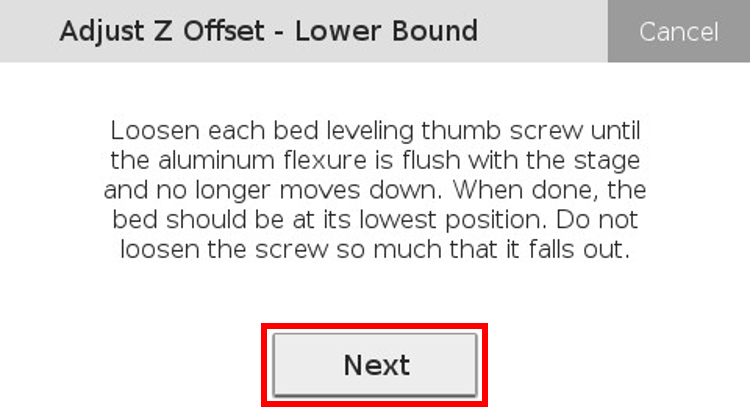 Raise the thumb screws until they are finger tight, at their highest position, and press "Next" on the printer's screen. Adjust the height of the print bed, at the first point, using the on-screen buttons, until the plastic nozzle just barely touches the print bed, then press "Next". 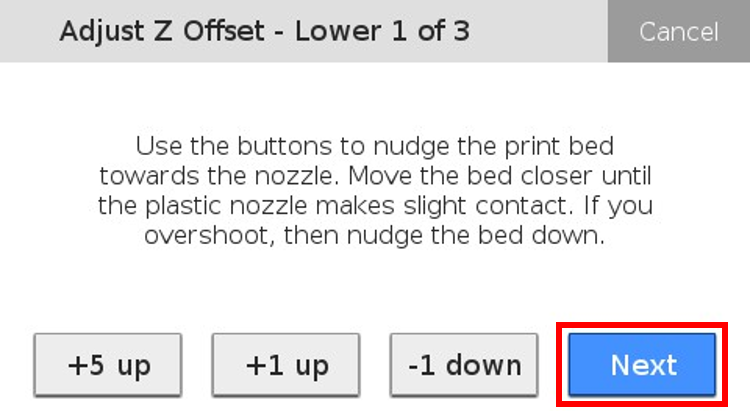 Adjust the height of the print bed at the second point, using the on-screen buttons, until the plastic nozzle just barely touches the print bed, then press "Next". 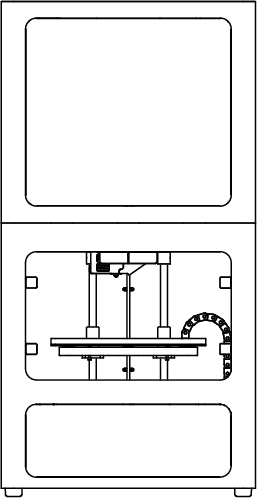 Adjust the height of the print bed at the third point, using the on-screen buttons, until the plastic nozzle just barely touches the print bed, then press "Next". 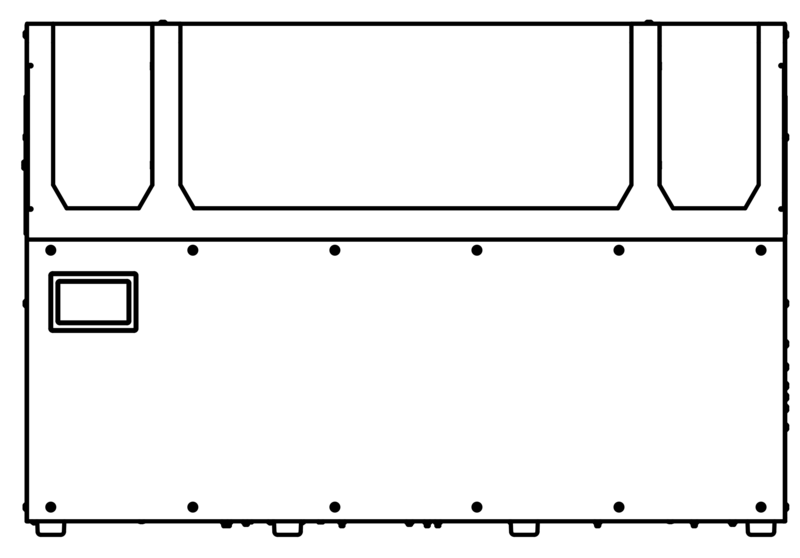 Lower the thumb screws until the shims are bottomed out and flush against the print stage, and press "Next" on the printer's screen. 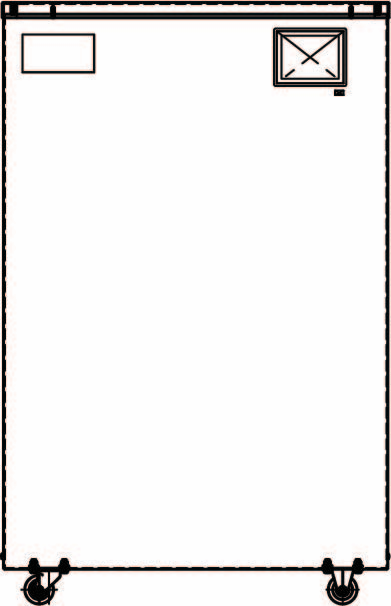 Wait for the offsets to save and then press the "Done" button.